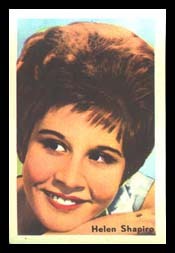 This card was issued in Finland by Hellas in 1962. 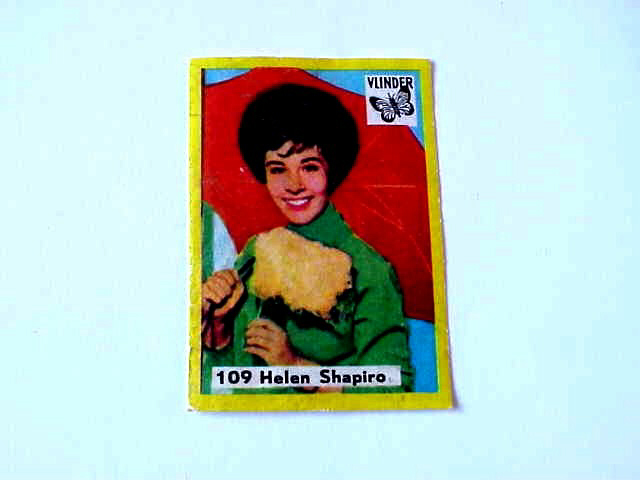 It is card number 55 from a set of 95 cards entitled "Pop and Film Stars (II)". 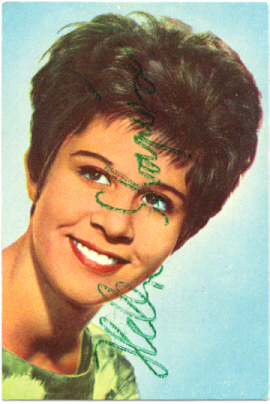 The front of the card shows a colored picture of Helen Shapiro while the back of the card has the card number, the title and a brief description in Finnish and one other language (Swedish? ).The back is similar to the sample shown. The card was given as a free premium with the purchase of gum. The size of this card is approximately 2.1 x 3.2 inches. 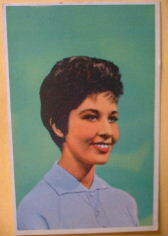 This card was issued by Mister Softee Ltd. (Ice Cream) in 1963. 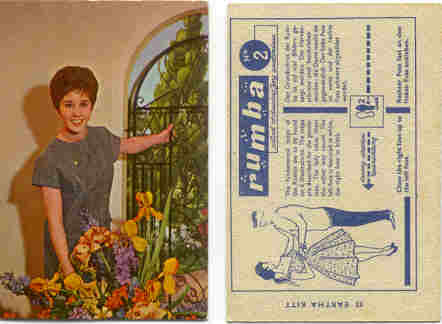 It is card number 13 from a set of 20 cards entitled "Top 20". The card was given as a free premium with purchases of Mister Softee's Ice Cream. 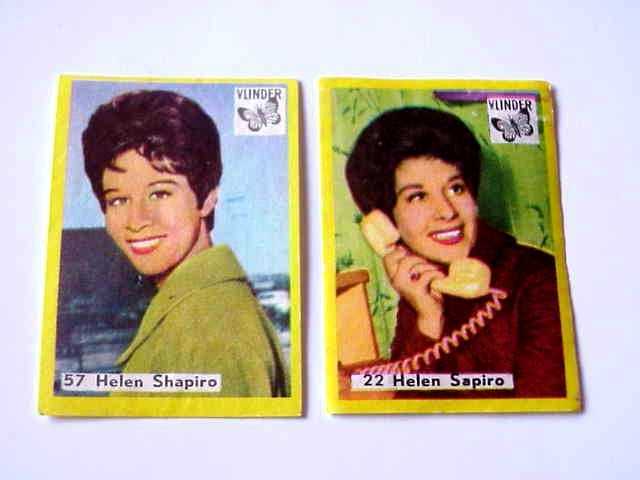 The front of the card shows a photographic type representation of Helen Shapiro, while the back of the card has a card number, set number, and biographical text.